The Black Box is the first exhibition on the subject of the Cold War in Germany. Even its exterior reflects the conflict between the two great powers: The red of the columns is for the Soviet Union and the blue windows for the United States. The black of the exterior stands for the black box, i.e. the flight recorder that records what happened for posterity. Inside the 200 m2 box, visitors learn about the history of the famous Checkpoint Charlie border crossing. 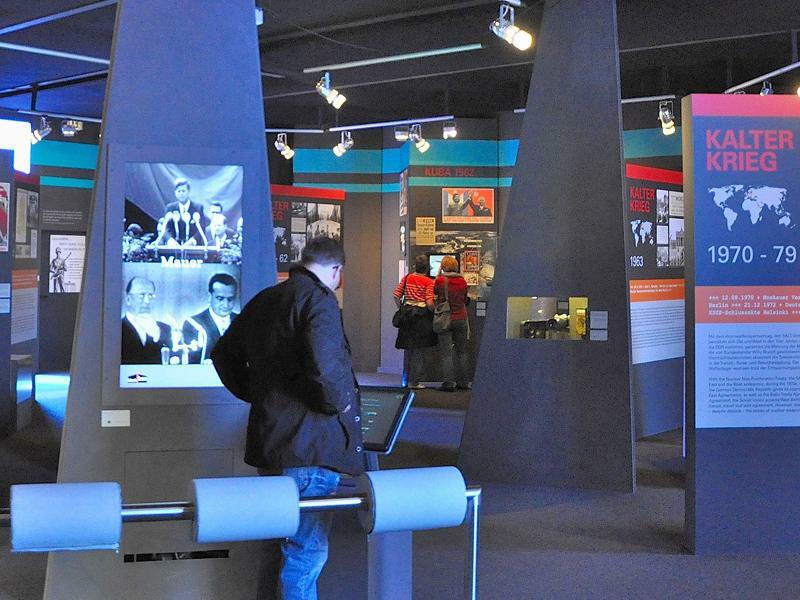 Large-format photos and 16 media stations, as well as other documents and exhibits, not only show the impact of the Berlin Wall on German history, but also place it into the wider international context of German and European division. Buy your Online-Ticket comfortably and securely & discover the legendary Berlin of the 90s in this large multimedia exhibition! Open daily: (Mon.-So. ): 10 a.m. - 6 p.m. The voucher will be exchanged for a valid ticket at the entrance. Free admission: valid for children up to 14 years accompanied by an adult. The following persons receive reduced admission, if necessary with corresponding proof: retired persons, severely disabled persons (from GdB 50) with corresponding official proof. Please note that online tickets cannot be cancelled.